VANCOUVER — The cross-court pass in basketball, when it is done right, is special. Maybe not so much for Mackenzie Lewis of Union, though. That is a long time, too. She started playing basketball at the YMCA when she was in kindergarten. She started club ball as a third-grader. “I just always remember having a basketball in my hand,” Lewis said. So she knows what to do with it, too, when she sees a teammate break free down the court. Still, those press-killing, long passes still amaze her coach. Gary Mills said he has seen Lewis throw the ball from under her own basket, roughly 70 feet the other way, on a dime to a teammate, with what seems like barely any effort. Lewis, a junior, can score. She can score in bunches, in fact. 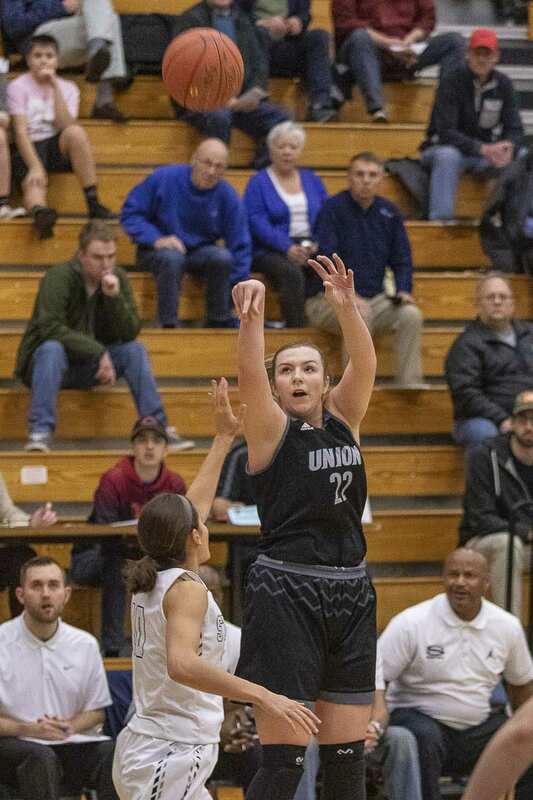 The Union Titans, though, needed more passing, more ball handling from her this season due to an injury to a teammate. Lewis said she gained more confidence in her game this season. Then the Titans passed a milestone for their program. Union shared the Class 4A Greater St. Helens League title with Camas this season. It is the first league title for the Union program. Lewis will always be able to say she was a key player in this first championship run. Tall and muscular, Lewis looks more like a point-forward than a guard. But she had to become one of the team’s top ball handlers when point guard Mason Oberg was lost for the season due to a knee injury. Regardless of Union’s immediate future, these Titans will get to say they topped Camas for a share of a title. A year ago, Camas beat Union three times — twice in the regular season and once in the Tacoma Dome in the state round of 12. This season, Camas got Union in the first round. Then it was Union’s turn. “That particular night, we all felt like we believed we were going to get it done,” Mills said, adding he was just so happy to see his players celebrate after that key win. Including non-league games, Union went on a 10-game win streak. 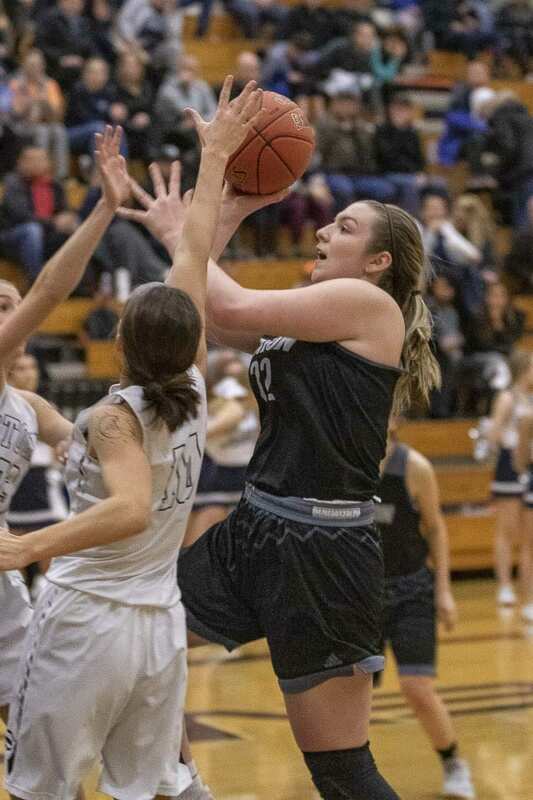 That ended in the tiebreaker game — Camas beat Union to earn the top seed from the 4A GSHL — but the Titans know they can compete. And they know they have an all-around threat in Lewis, who earned first-team, all-league status this season. It has been working for Lewis and the Titans. A year ago, the Titans made it to the Tacoma Dome for the first time. This year, they won a share of a league title for the first time. Now, they want to a repeat performance from last year’s postseason. The Titans don’t want to pass up that opportunity.